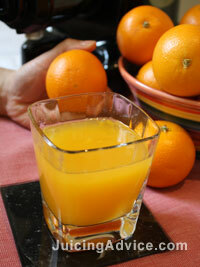 Juicing for detox has become increasingly popular. It will help you remove nasty toxins from your body. This will leave you feeling more energised and improve your immune system. What is a juicing detox? A juicing detox can also be referred to as a juice fast. This is when you abstain from any foods other than fruit or vegetable juice. However a juicing detox doesn’t have to be this extreme, some people just include fresh juices into their own detox plan. It can also be called a juicing cleanse. Why do a juice detox? Many people are aware of the benefits of eating more fruit and vegetables every day. Some people just find it hard to eat them, chew them or prepare them. Juicing for detox allows you to gain all the nutritional benefits of them without having to continuously eat them. You just drink them. It also allows you to create interesting combinations and flavours to suit your own particular tastes. Here are a few great juicing detox recipes to get you started. It’s believed that juicing increases your intake of antioxidants. These are the nutrients that help fight off illness and disease. By juicing fresh fruit and vegetables you are preparing a drink that is high in nutrients and fibre, which will enhance the detox process. Any detox plan will insist that you intake a large amount of fluids to help flush out your system. Some people find drinking water boring and tasteless. By following a juicing detox you are still intake a lot of fluid it just tastes better. Detox plans such as the lemonade cleanse only allow you to drink water with maple syrup and lemon. Some people become very tired and lethargic on this detox because of the lack of nutrients. By following a juicing detox you are benefiting from the high level of nutrients from the fresh fruit and veg. This gives you more energy and may be the difference between whether you finish the detox or give up. Juicing for detox can last for a couple or several days depending on why you want to carry out a juice detox. People often think about carrying out a cleanse or detox plan to help them with a particular health problem. It could be anything from an allergy, digestive disorders such as constipation, bloating, and headaches etc. the great thing about creating your own detox or cleanse plan is you can target your own particular needs. Juicing is an ideal way to do this. Below you will find a list of some of the most popular fruit and vegetables that are used in a detox or cleanse plan. It gives you some reasons for using them and will hopefully help you when you’re planning your own detox. Apples are high in pectin, which is great in helping to cleanse the body of toxins. Other fruits high in pectin include strawberries and grapes. Beetroot juice is a powerful liver detoxifier and contains vitamins A, B and C as well as potassium and minerals. It works well when combined with apple juice. I recommend that you only use small amounts of beet juice as it can have a strong taste. Other liver supporting ingredients include lemon, cranberry, artichoke. Fennel juice helps to detoxify the liver and helps to restore a general feeling of wellbeing. Radish, like beetroot is very strong in flavour so should only be used in small amounts and combined with other juices. It has great detoxing qualities for the gall bladder. 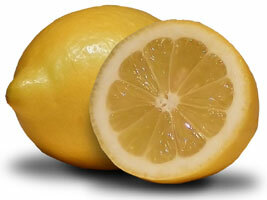 It helps to clear mucus build up and is reported to rid people of gallstones. Juices that help reduce water retention and stimulate the kidneys include cucumber, cranberries, celery, fennel, watermelon, peach and strawberries. Cranberries or blueberries can aid people suffering from urinary infections as they are helping prevent bacteria sticking to the urinary tract. Read more about the benefits of cranberry juice. Asparagus contains asparagines, which also stimulates the kidneys and helps to purify the blood. Parsley like other green juices is an excellent cleanser because of its rich in antioxidants. It is also one of the richest vegetable sources of vitamin A. 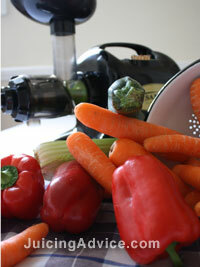 Carrots juice is said to increase vitality and stamina so make a good base when juicing for detox. It’s reported to work well for aching joints, muscles and a tender liver. Carrots also contain a high level of minerals including potassium and calcium. Discover more health benefits of carrot juice. Ginger is a natural remedy for nausea. Fruits and vegetables also encourage the removal of excess waste in the digestive system. These blockages or build up’s in your body give you a feeling of tiredness, irritability and general feeling of ill health. By juicing for detox you will allow the body to naturally remove those toxin build up’s leaving you feeling more energised and healthier.